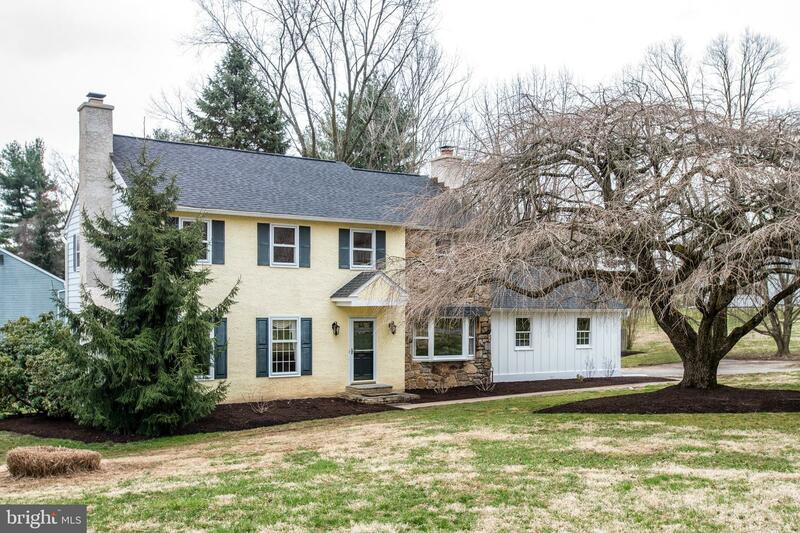 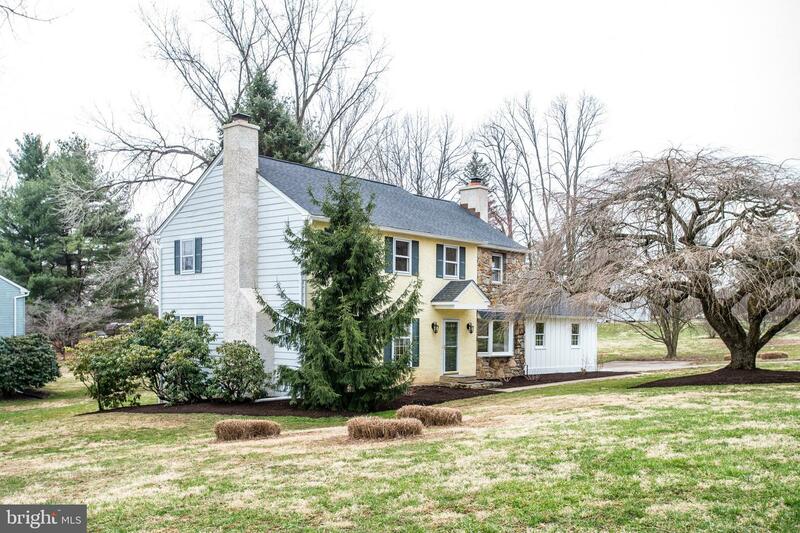 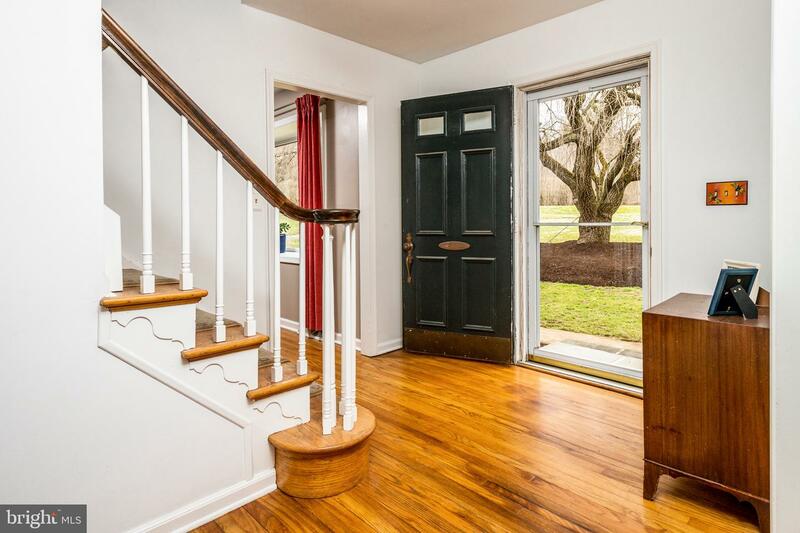 Welcome to this stunning home in the sought after Unionville-Chadds Ford School District, offering 4 bedrooms, 2.5 baths and just over an acre of land. 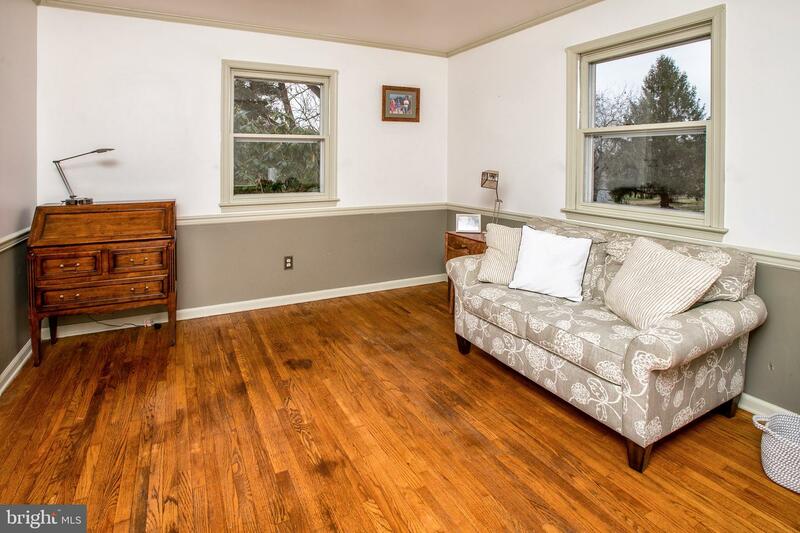 The home offers a bright, inviting and comfortable living flow throughout. 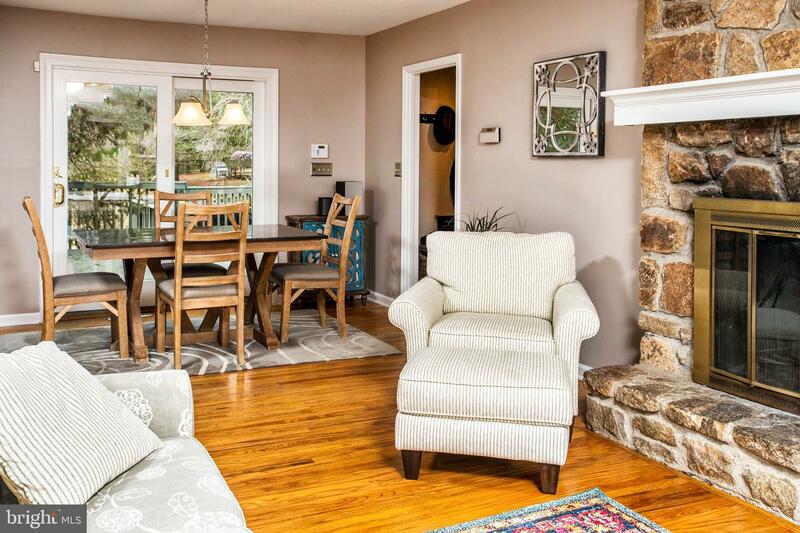 Enter the home into the expansive living room with gleaming hardwood floors and a warm fireplace. 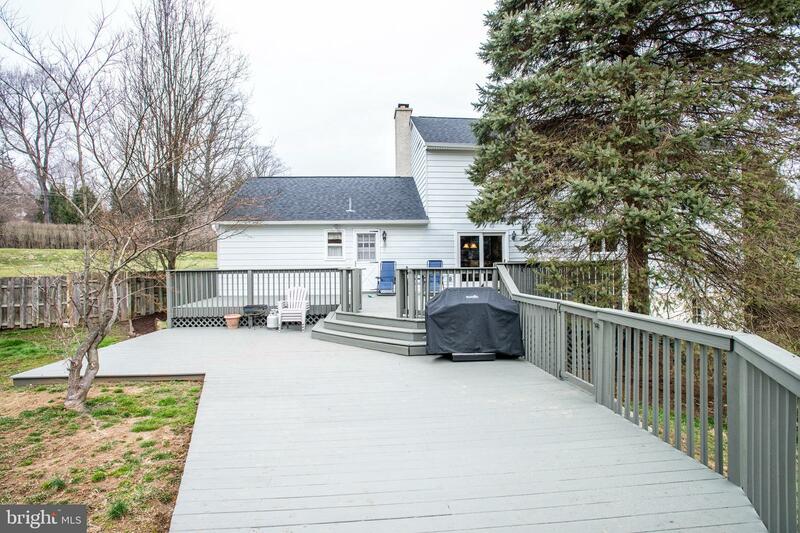 A sliding glass door leads to the spacious backyard with an oversized deck off the living room, which provides for an extensive outdoor living and entertainment. 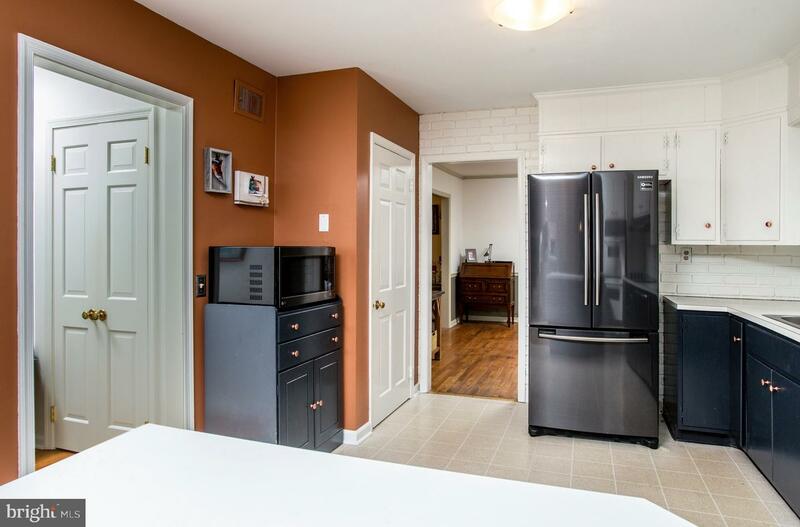 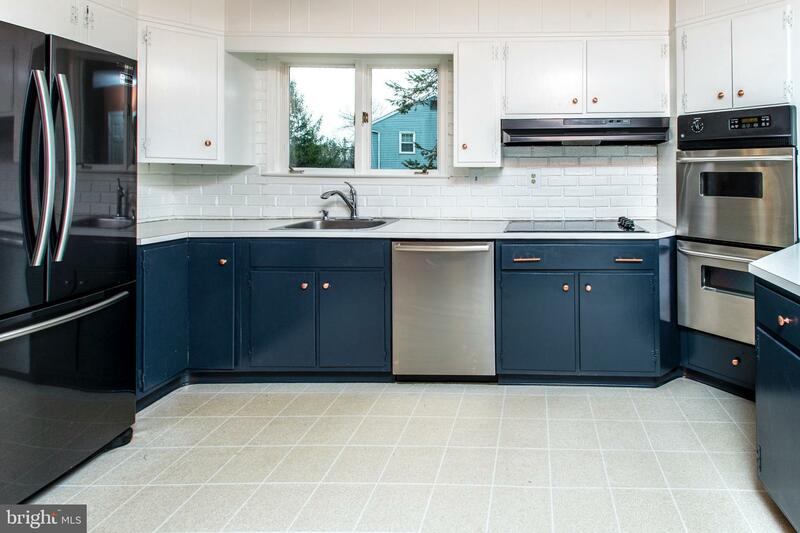 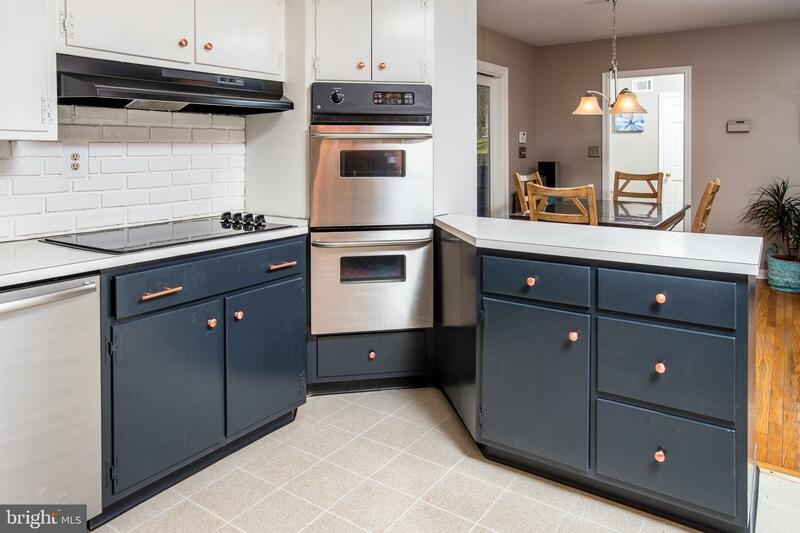 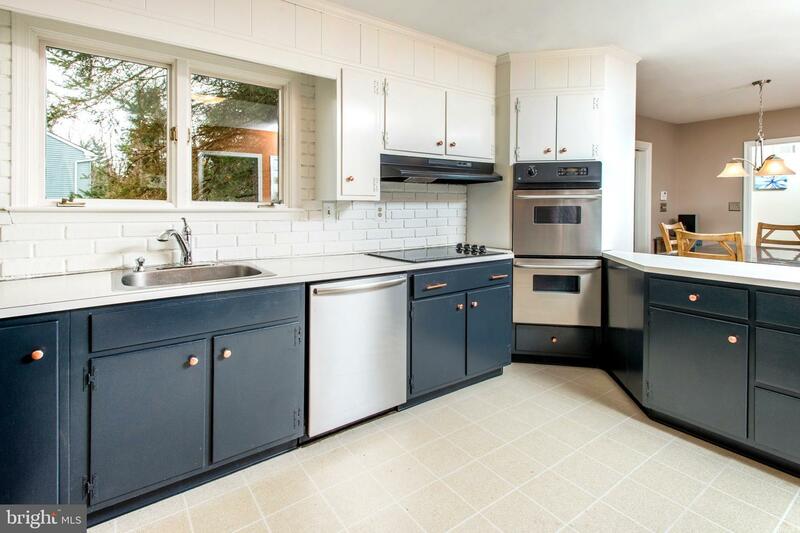 The kitchen includes ample counter space complete with an additional eating area and newer, stainless steel appliances, and opens up into the living room. 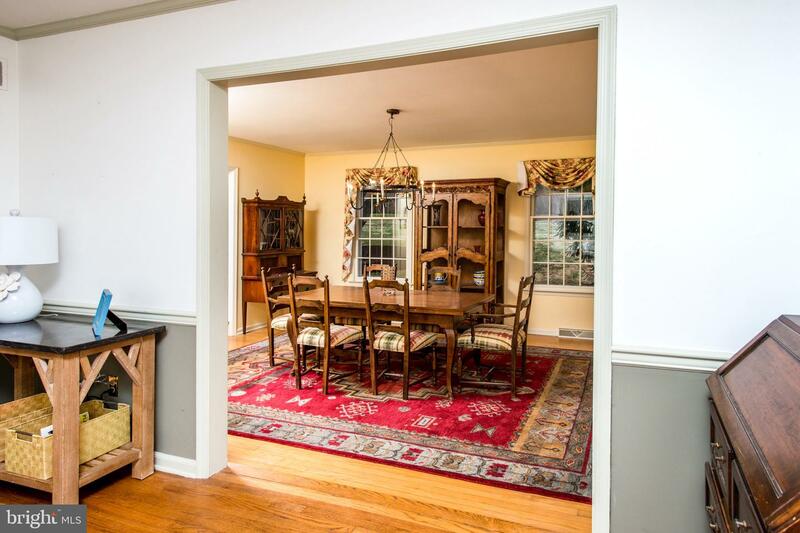 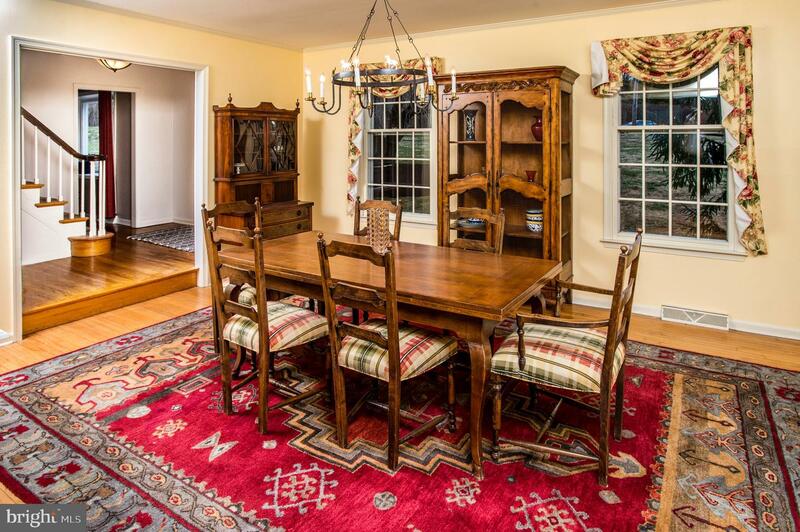 From the kitchen, continue into the office/den area and into the spacious formal dining room complete with a fireplace. 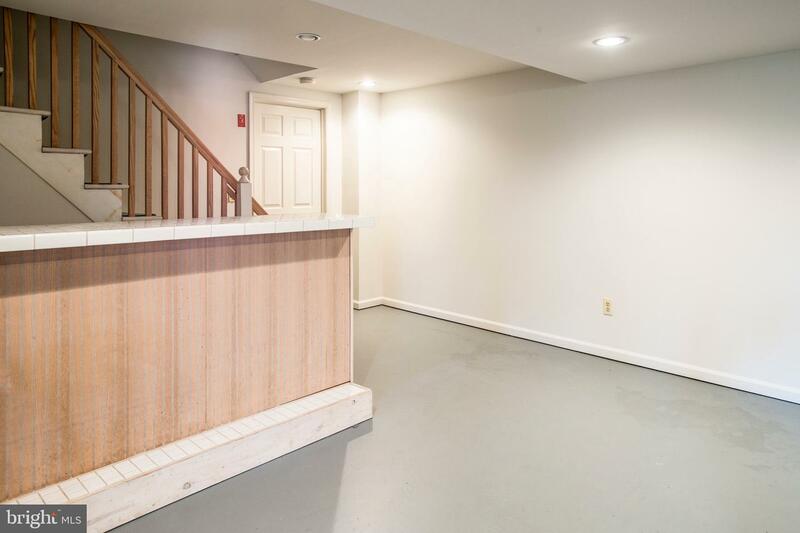 A mudroom as you enter from the garage and an updated powder room complete the first level. 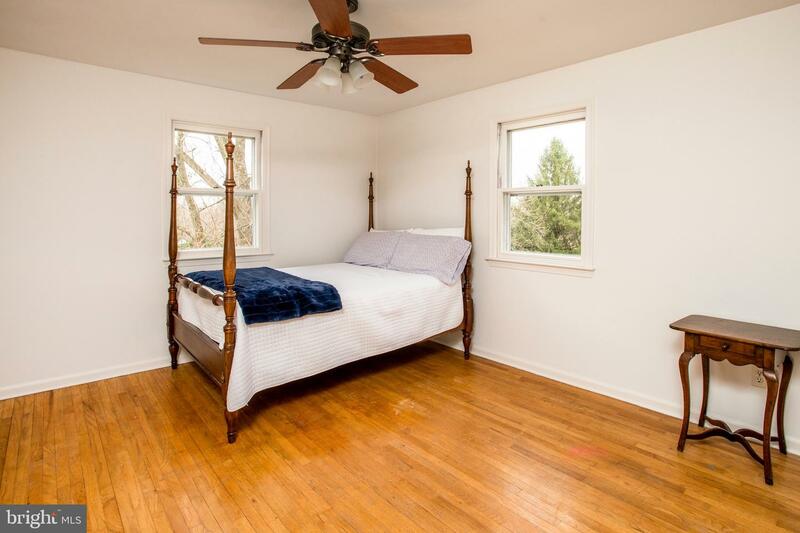 The hardwood floors continue throughout all four of the large bedrooms and upstairs hallway. 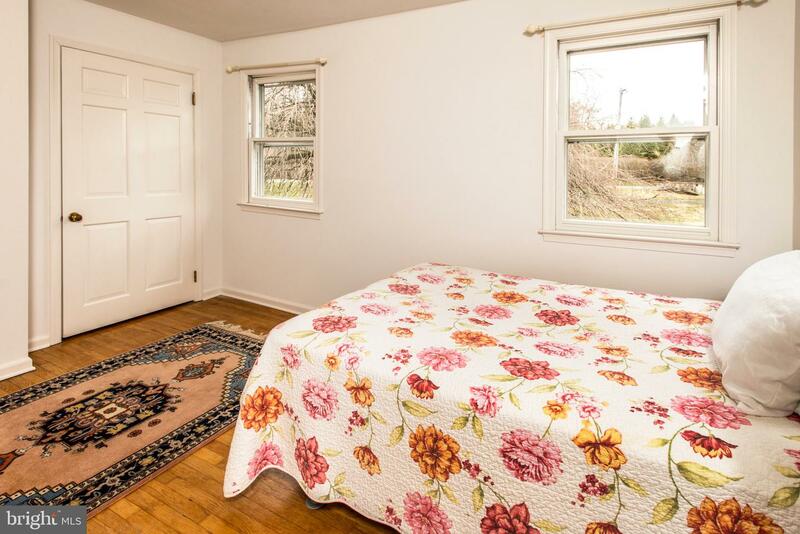 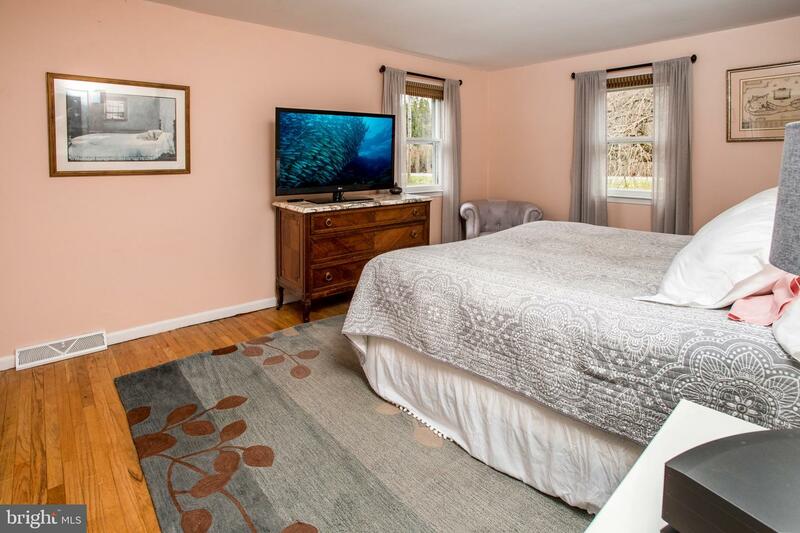 The master bedroom also has a walk-in closet and private master bath. 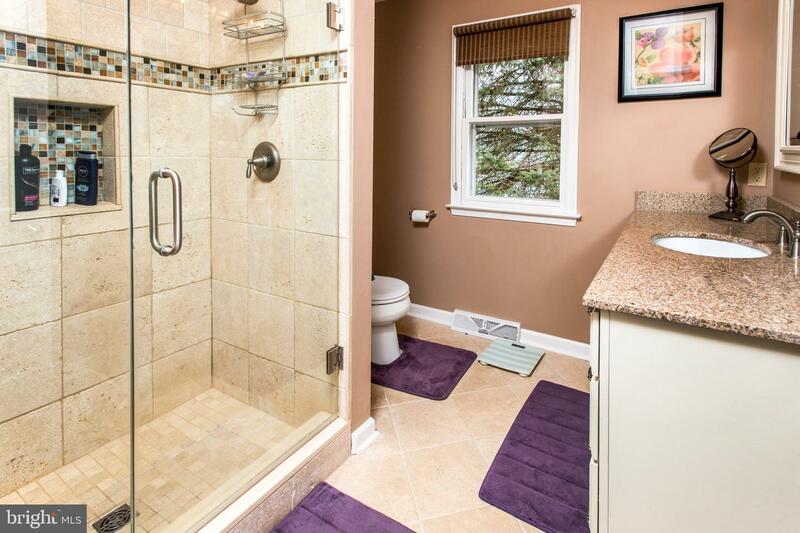 Master bathroom has been updated with a beautiful tile shower with glass door. 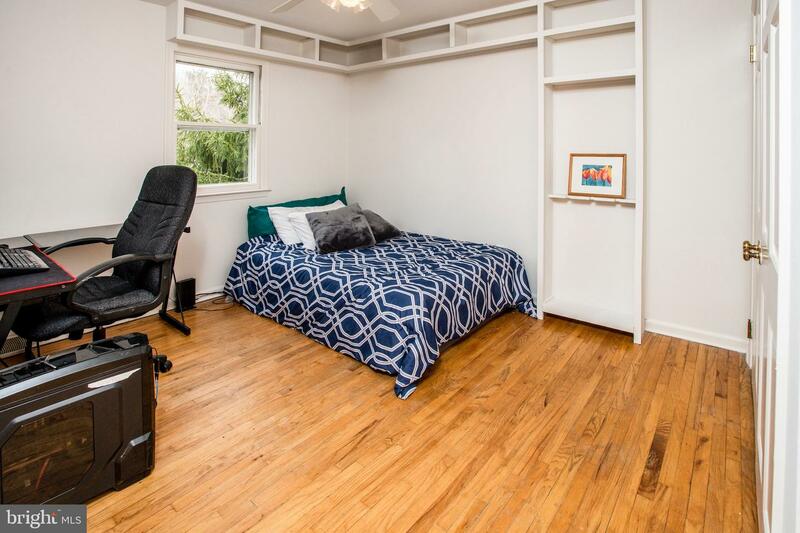 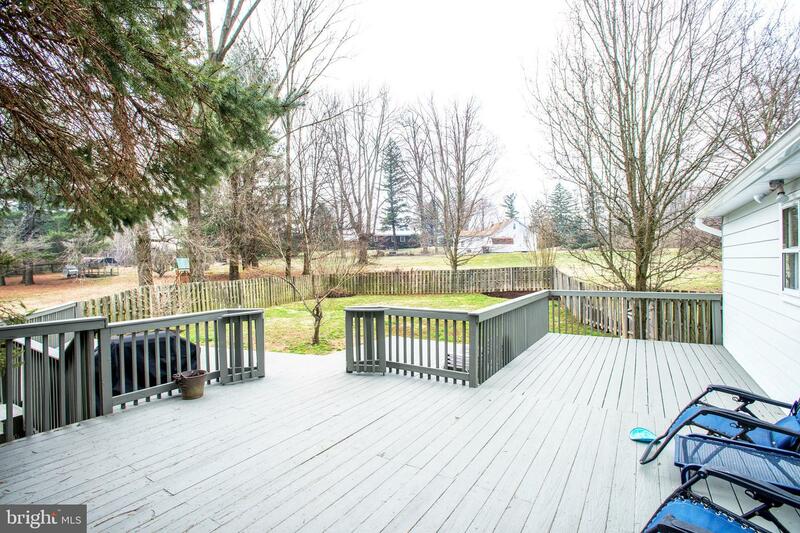 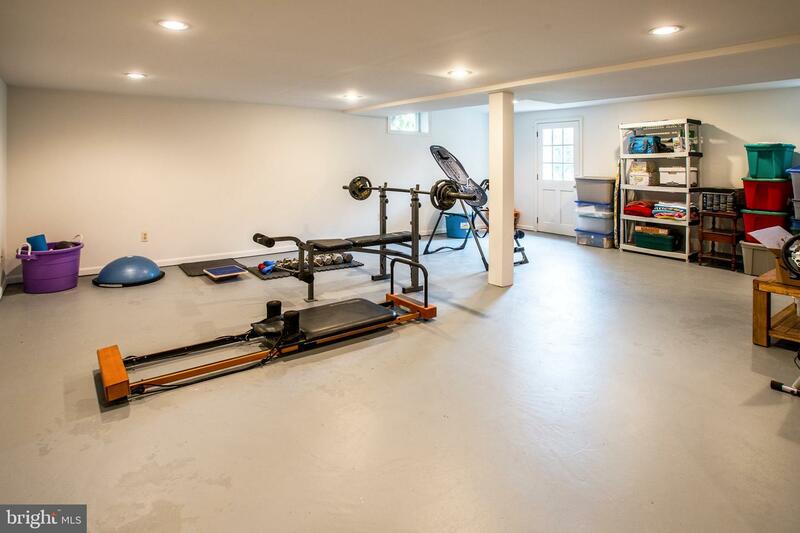 There is also ample storage areas and an attic on this level. 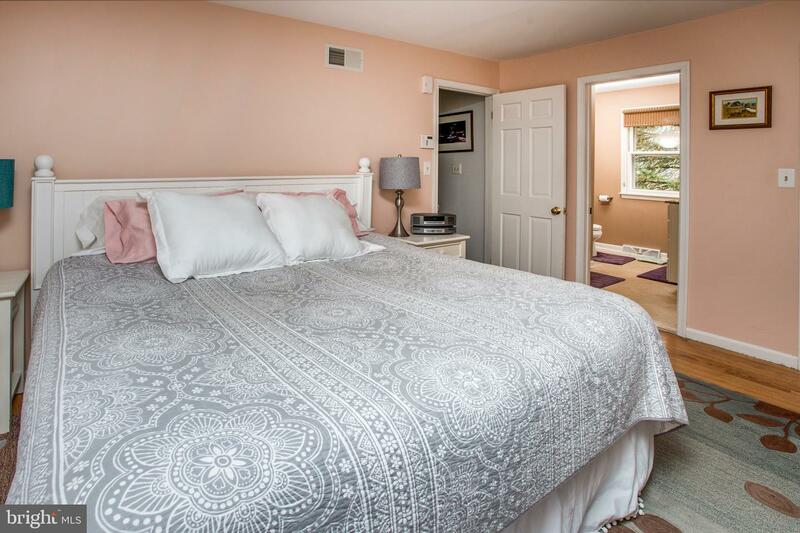 Laundry area is located on the partially finished lower level and there is access to backyard from the lower level as well.Outside you will find a large yard which is partially fenced and is perfect for pets. 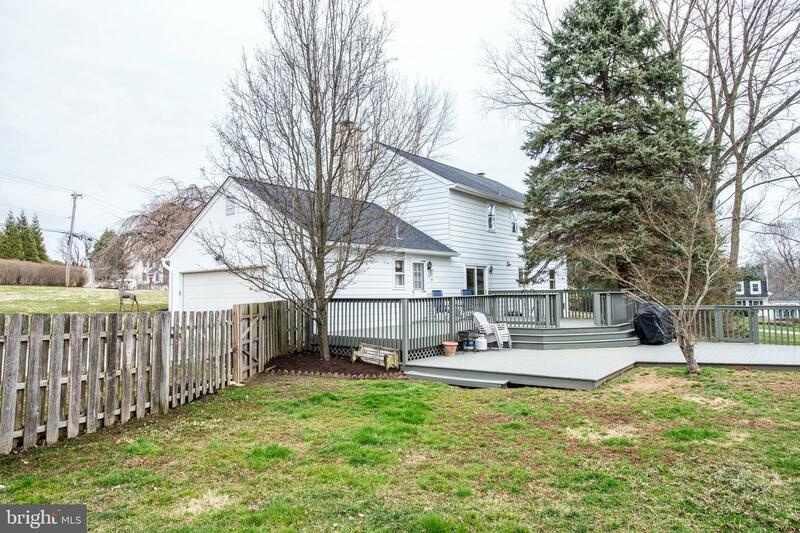 All of this and home boosts a recently replaced roof and gutter systems (2016). 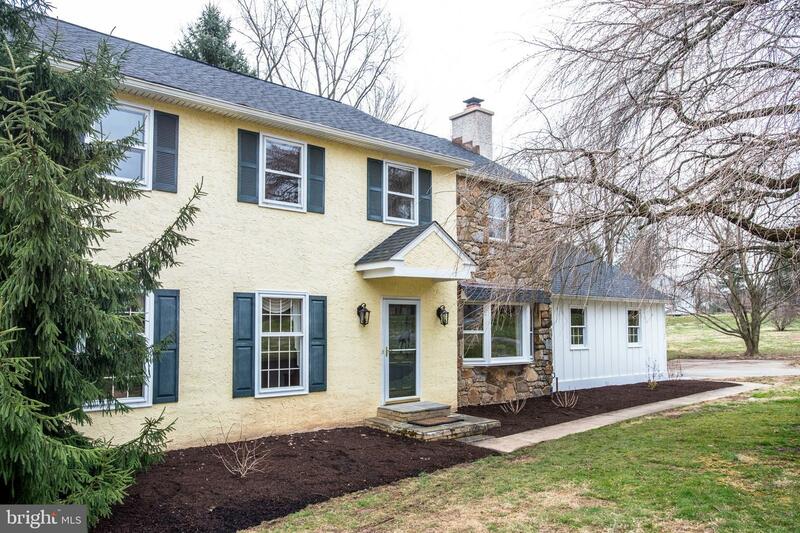 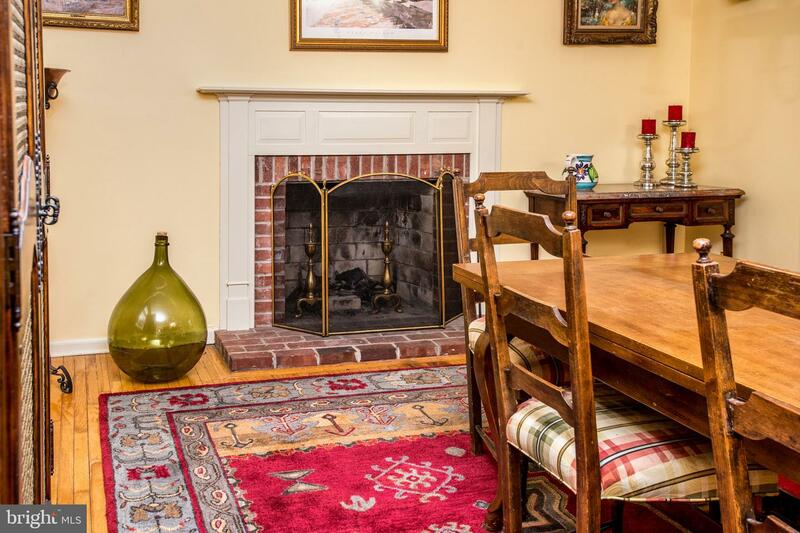 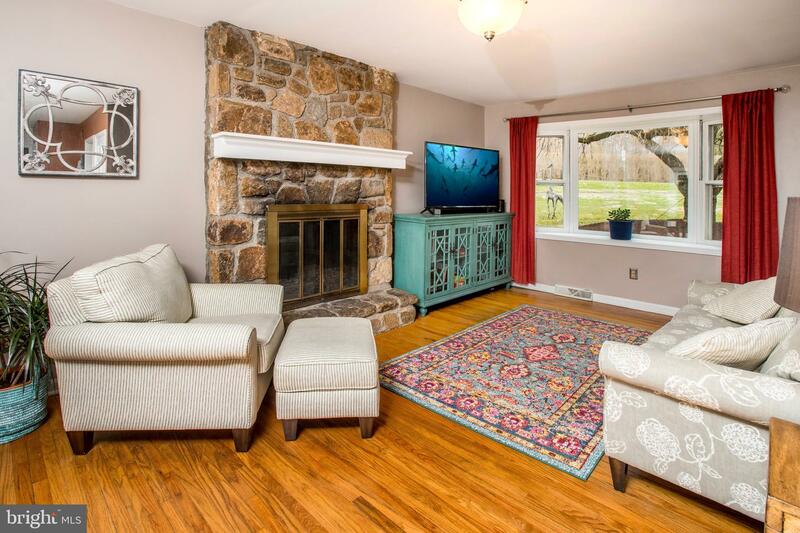 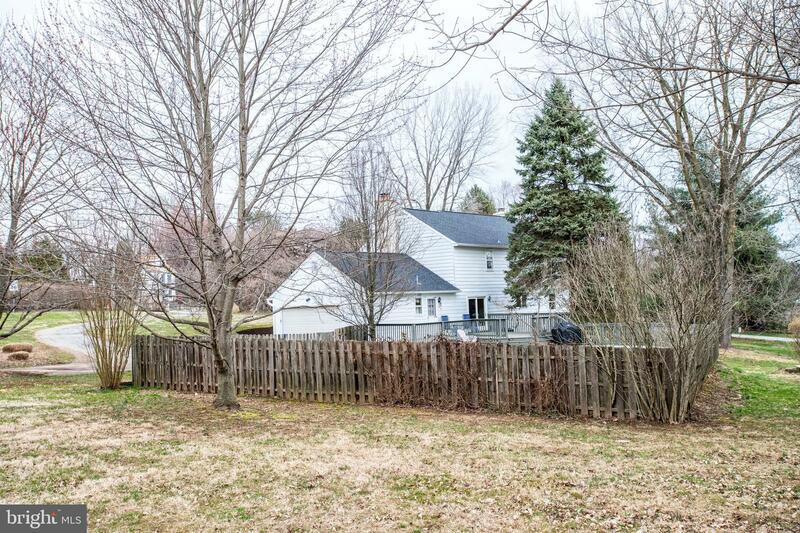 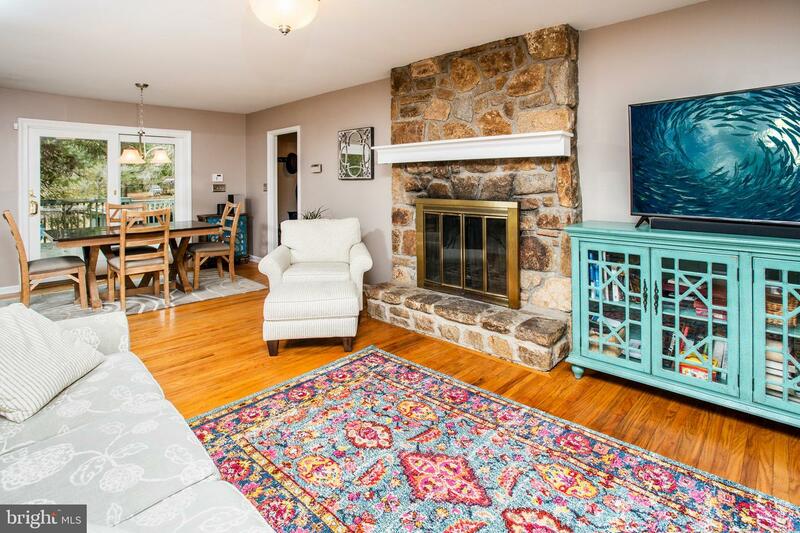 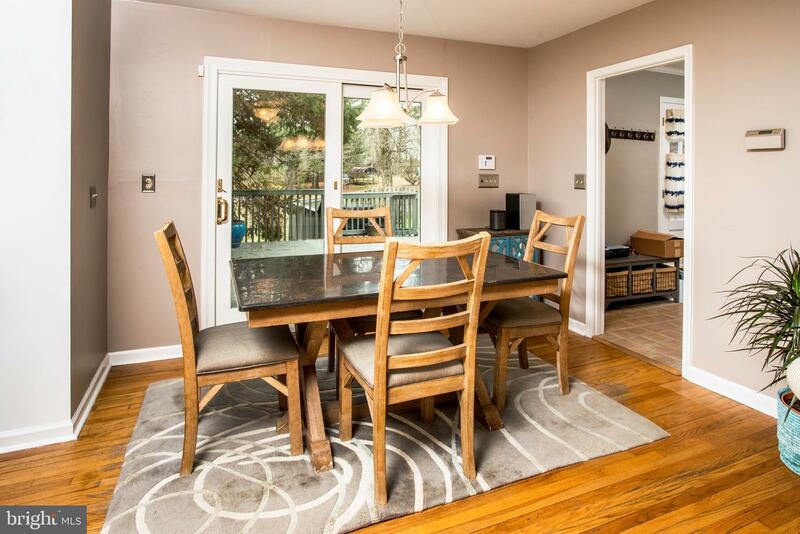 This neighborhood is well located just minutes from Historic Unionville Village, the Unionville Schools and an easy commute to West Chester, KOP, Kennett Square and Delaware.